Since we are celebrating the LOVE month, I want to show some love to my ever since sweet cousin who gave me an award such this.. No other than but Shelo , thanks much! May there always be work for your hands to do, may your purse always hold a coin or two. May the sun always shine on your windowpane, may a rainbow be certain to follow each rain. May the hand of a friend always be near you, may God fill your heart with gladness to cheer you. 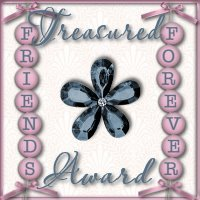 And since this is supposed to be spread, I am giving this awards to my treasured friend bloggers. And this award goes to: Melody, Aisha, Aiza, Ate Nette, and Bogie.